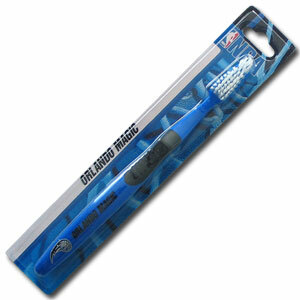 A great way to show off your Orlando Magic team spirit! Our NBA Orlando Magic Licensed toothbrushes have opposing angled bristles to reach between teeth with each forward and backward stroke. The extended tip accesses hard-to-reach areas of the mouth. 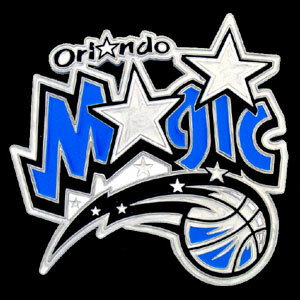 Show off your team pride with our Large logo NBA Orlando Magic hitch cover. The oversized logo is carved in detail and enameled in Orlando Magic team colors. Easy to install and fits Class II and Class III Hitches (plugs included). Approximately 4 1/2" x 5 1/2".